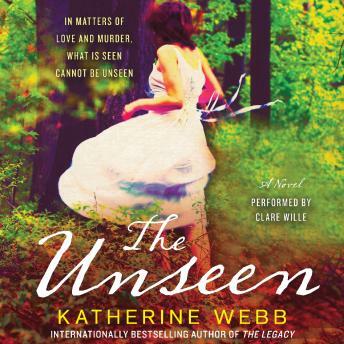 Katherine Webb’s debut novel, The Legacy, was an international bestseller—and her remarkable second effort, The Unseen, is as gripping, thrilling, and unforgettable as her first. In this compelling story of love, deception, obsession, and illusion, the arrival of two dangerous strangers in a small village in England in the early 1900s disrupts the quiet lives of a vicar with a fascination with spiritualism and his naïve young wife, and ultimately leads to murder. The Unseen is literary suspense at its most entertaining and enthralling, truly superior fiction not unlike the captivating tales of Kate Morton and Diane Setterfield.